A sprint interval training app available for Android and iPhones. Stretching is the number one thing to incorporate in your regular exercise routines to minimize the chances of injury during workouts. Muscles need to be prepared and warmed up in order to function properly during the rigorous physical activity that will follow. Stretches and stretch routines vary as much as there are different types of exercises and plans. 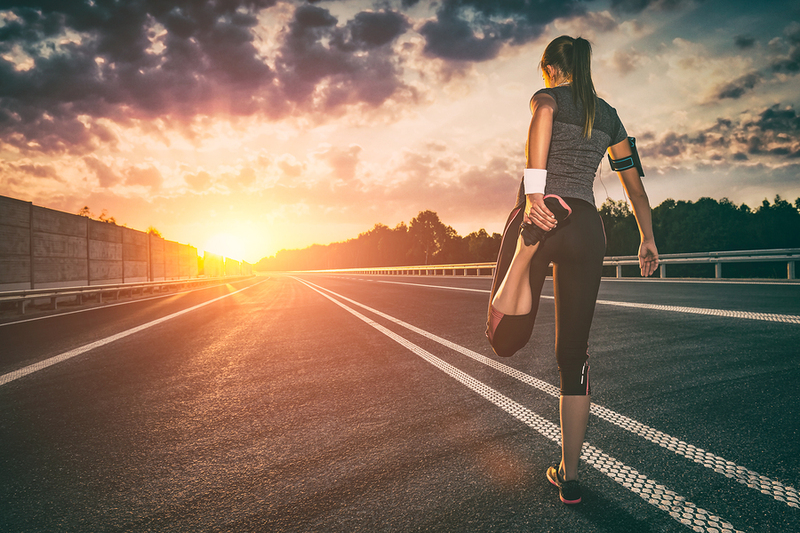 If you’re to stretch before going for a run, you will concentrate on the core, hips, legs, calf, and ankle muscles. These are the muscles that will be used during jogging, so these parts of the body have to be warmed up before you hit the treadmill or pavement. Warm-ups and stretches can help prevent injury and also increase your performance level during your workout or jog. It’s always a good idea to plan a few minutes before starting any activity to stretch out those muscles and get them prepared. Do your stretches while focusing on the movement and not the number of repetitions. Feel your muscles and joints energize and warm up. Make your stretch routine count and let it be beneficial to your body. Let’s warm up those muscles! Stretching the main muscles located in the hips and legs is recommended before running to energize and warm up the core muscles that you will be using during your run. 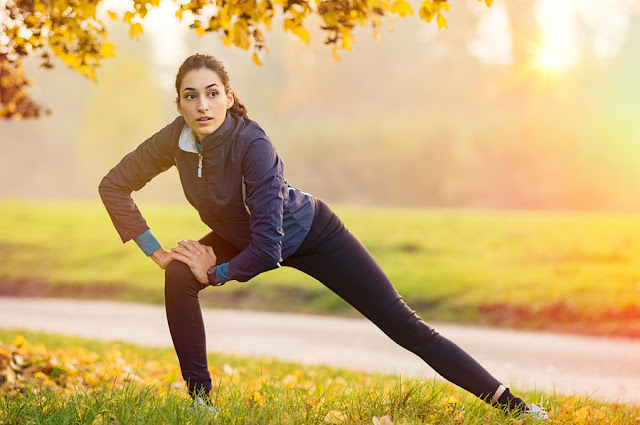 Doing a few localized and effective stretches will warm up your muscles and your joints to help prevent injury and provide valuable energy to get going with your run. The most effective stretches to do before a run are dynamic stretches as opposed to static stretches. The movements should be light and increasing. The muscles that you will want to concentrate on are your quads, glutes, hamstrings, hips, and calves. 1. Hip Flexor Swing - This stretch helps improve hip mobility. Hold on to something and stand on your right leg. Swing the left one back and then forward. Build the stretch farther as you repeat. Swing your left leg crossways on top of the right one and then the other way. Build the stretch further as you repeat. 15-20 repetitions for each leg. Stand on a step or a stair with the front of your feet firm and the back hanging. Lower your heels past the stair. Large step forward with your right leg. Bend until thigh is parallel to the ground. Sit on the floor and grab your right ankle. Rotate your ankle in circular motion switching from clockwise to counterclockwise. 15-20 repetitions for each ankle. Interval Sprint training has become increasingly popular in the last several years. There’s a good reason more and more people are hopping on the trend because it has proven to provide fast calorie burning and quick results. Sprint training takes less time than a regular workout. Your body is subjected to short, intense periods of extreme exercise followed by short periods of rest and recovery. This is repeated several times over the course of approximately 25 minutes or so. This is meant to raise your heart rate to 80% or 90%, then bring it down a little but not completely. Stretching before HIIT is different as you will want to warm up your muscles by mimicking the movements that you will be doing during your HIIT workout. It’s best to do dynamic stretches for pre-HIIT workouts. You want to slowly raise your heart rate and body temperature. A few minutes is sufficient to warm your muscles and prepare them for your interval sprint training. When doing warmups before your HIIT workout, remember that the movement is important, not the number of repetitions. Focus on doing the movement fully and intently. Jumping jacks and jump rope are time-honored fitness workout warm-ups. Try 2 minutes of one of these to get the heart pumping and muscles fired up. Push-ups will get your core muscles into action and ready for your HIIT workout. 10 to 20 push-ups while engaging your core. 20 lunges will rev up the legs. 10 to 15 Small arm circles clockwise and counterclockwise. 10 to 15 large arm circles clockwise and counterclockwise. Stretching is as important as you hear it said everywhere. Every fitness instructor or professional will tell you that warming up and preparing your body to do a physical activity is mandatory if you don’t want to hurt yourself. Stretches shouldn’t take up too much time to be efficient. When done correctly you can get those muscles warmed up and ready for your workout in a few short minutes. There’s no use spending a lot of time and energy on stretches, energy that you will need for your run or your workout. Adapt the type of stretches to the workout you are about to do. Think about the muscles that will be used and focus on warming those up. The core is always a good idea to prepare for any workout because it’s central in most movements we make. Your stretches should be efficient; otherwise it's a waste of time even doing them. Listen to your body and don’t overstretch. Take the repetitions s gradually and build the flexibility until you fell the muscles and joints warm and not rigid. You know you have had a successful stretching warmup when your muscles feel warm and your joints are flexible. That simple. Sprinterval helps you get started with High Intensity Interval Training (HIIT) using sprints. Available for iOS & Android. Why do you work out? If you answered, “To lose weight,” you are in good company, since this is one of the main reasons people name for exercising. Despite this desire, however, less than 5% of adults get the recommended amount of daily exercise, according to the Center for Disease Control. There are many reasons that keep people from working out, but often it’s just too overwhelming to get started. 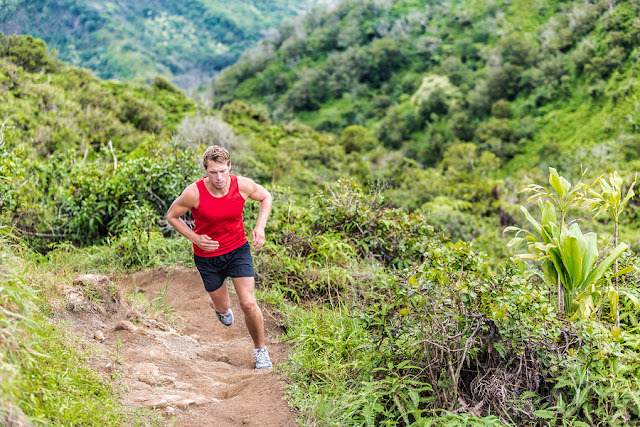 Should you take up running? Join a gym? Lift weights? Take an aerobics class? 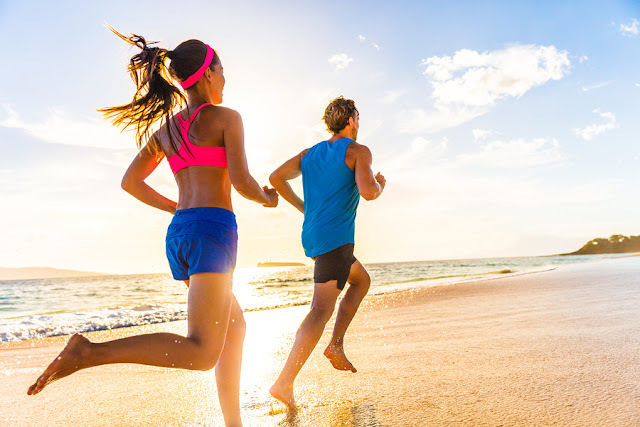 However, if your goal is to lose weight, then high-intensity interval training, or HIIT, is the best type of exercise, especially when compared to steady-state cardio, like jogging. HIIT is a form of exercise that combines intense periods of exercise with short recovery periods. During the high-intensity intervals, the aim is for your heart rate to reach 80% to 90% of your max. If you aren’t sure what that looks like, a good test is to see if you can talk. If you can say more than a few words, you need to push yourself harder. Why is HIIT Better than Other Types of Exercise? While all physical activity will help you burn calories, HIIT has many advantages over other methods of working out. Here are five reasons why HIIT is a better way to exercise if you want to lose weight. HIIT works by burning fat and not muscle and by stimulating this effect to continue after the workout is over. This happens because the short intense intervals push your body into an anaerobic state where the body uses its energy reserves. Since each interval uses more oxygen than the average low-intensity workout, your body will burn more calories. 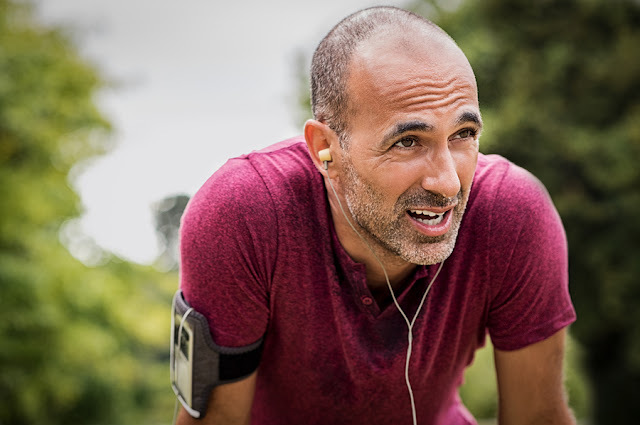 You can thank an effect called EPOC, or excess post-exercise oxygen consumption, for helping to burn calories even once you’re done working out. And the higher the intensity, the higher the EPOC effect. The form of exercise that will help you lose the most weight is the one you are willing to do and stick with. 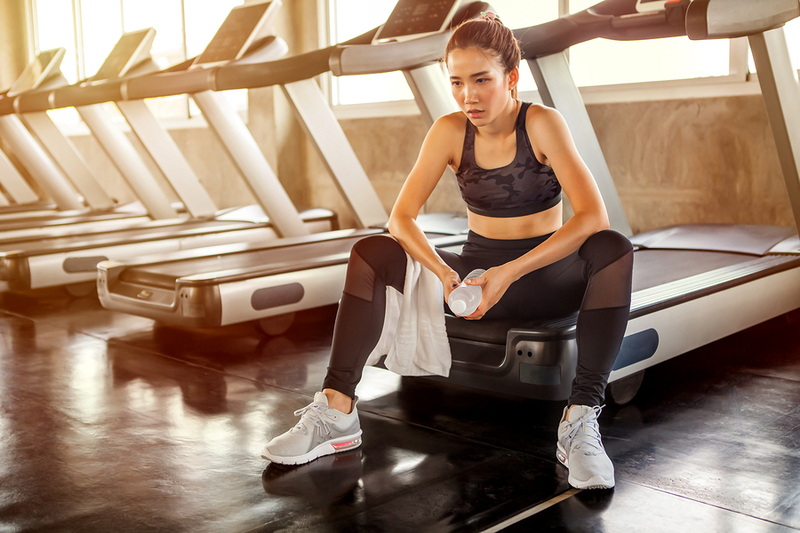 Although no fancy equipment is needed – HIIT workouts can be done using body weight alone – you can do a HIIT workout with weights, treadmills, exercise bikes, dancing and more. As long as you use the main principles of reaching your maximum intensity level for short an interval followed by a rest period, you will get the benefits of a HIIT workout. One HIIT workout won’t cause you to lose all the weight you want to lose. Consistency is key. Microsoft released a study a few years ago that suggested that the average human adult has an attention span of 8 seconds, comically adding that this is less than that of a goldfish. Whether the number is truly 8 seconds, there's no denying that the human attention span has shortened in the digital age. That’s why HIIT is so great. Short sprints are easier to maintain than long, boring, steady-state exercises. There are endless varieties to HIIT workouts, so you can mix it up before you lose interest. This variety means that you’re less likely to plateau as you become stronger. There’s always a way to make the workout more advanced. 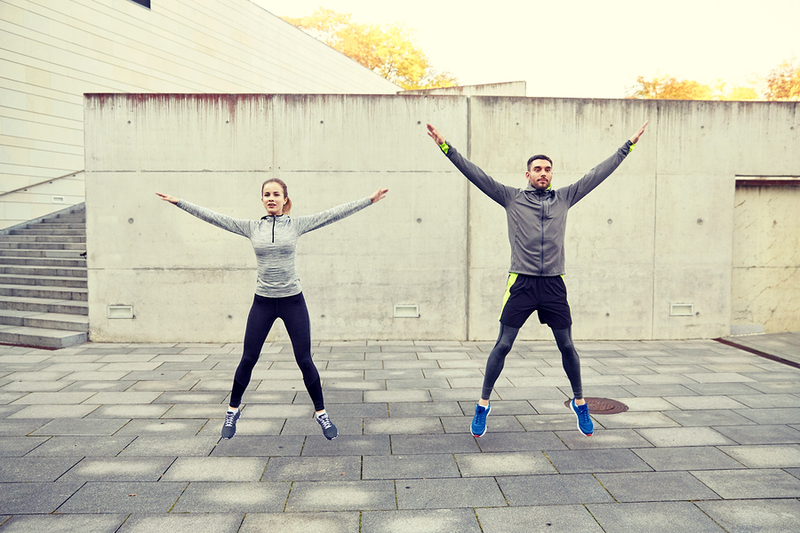 Long hours running on the track or quick bursts of high energy whose benefits continue after you end your workout? The same workout every single day or multiple routines that give you the same result? The latter in both circumstances, right? If you find an exercise that is more enjoyable, you’re more likely to stick with it and thus more likely to lose weight. If you want to lose weight but think you don’t have enough time in your busy schedule, then you need to try HIIT. Most HIIT workouts are under 30 minutes and because of their intensity, you only have to complete them a couple of times a week to see results. If you’re serious about losing weight, then you need to make it as easy as possible for yourself. 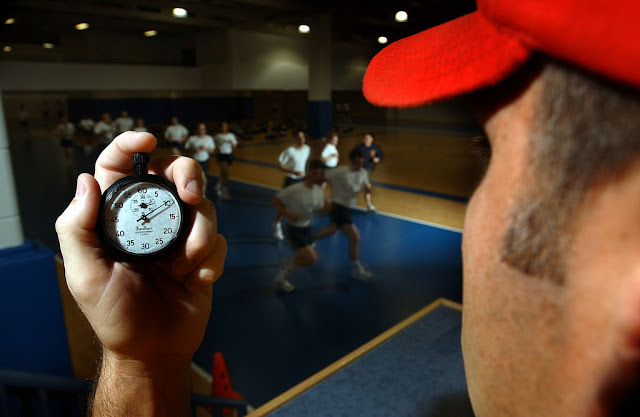 You can remove the obstacle of a huge time commitment by using interval training. Convinced of the benefits but unsure where to start? That’s where Sprinterval comes in. Our sprint interval training app makes it easy to get started with HIIT workouts. Download the app and start working out harder, not longer, today. You don’t need a gym membership to get fit. You don’t even need to get outside. All you need is 30 minutes and the will to exercise. High Intensity Interval Training (HIIT) is perfect as a home workout. HIIT is a combination of exercises that alternate high intensity activity with periods of recovery, strengthening the cardio-vascular system, burning body fat and building muscle fast. Be aware that due to the high intensity, HIIT is not for beginners. If you’re just starting out, don’t over-exert yourself. Do a lighter version of HIIT with shorter activity and longer rest periods, and start with once per week. Here are 4 HIIT workouts that you can easily do from the comfort of your own living room. Don’t forget to warm up and cool down! The beauty of HIIT is that you don’t need any special equipment for exercising. There are so many bodyweight exercises that you can incorporate into your training, just mix and match for variety. Here is one example of a 25-minute workout that will target the entire body, burning body fat and building muscle. The workout has two parts, each comprised by set of 6 exercises. Do as many reps as you can in the active interval, and do both sets of exercises twice. Tabata workouts are one of the programs that sound too good to be true, only actually true. Being very efficient, they’re perfect for working out at home on a busier day, when 10-15 minutes is all you have. 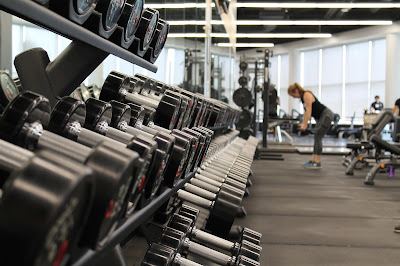 Created by Japanese professor Dr. Izumi Tabata from the National Institute of Fitness and Sports in Tokyo, Tabata training significantly increases both the aerobic and anaerobic systems in a very short workout. Each exercise in a Tabata workout is only 4 minutes long, but will feel like the longest 4 minutes of your life. If you do it right, you won’t be able to sustain a long workout. If you can do a 30-minute routine, it’s not Tabata, it just means the intensity isn’t high enough. You can incorporate any exercises you like, as long as you do them at your maximum intensity. Burpees, squats, jump squats, mountain climbers and reverse lunges are all great for a Tabata workout. Combine 2 exercises for a 10-minute workout. Do 20 seconds of high intensity squats, followed by 10 seconds of rest. Repeat another 7 times. Do 20 seconds of high intensity mountain, followed by 10 seconds of rest. Repeat another 7 times. Start with incorporating Tabata training into your routine once a week in order to prevent over-training. If you love interval training but you also love weightlifting, why not combine the two? Grab your dumbbells (or buy an inexpensive set from any sports store) and let’s do a 20-minute workout. You will need a lighter set for upper body exercises and a heavier one for your lower body. Complete 4 sets of the following 4 exercises. Complete each exercise for 30 seconds, followed by 30 seconds of rest. 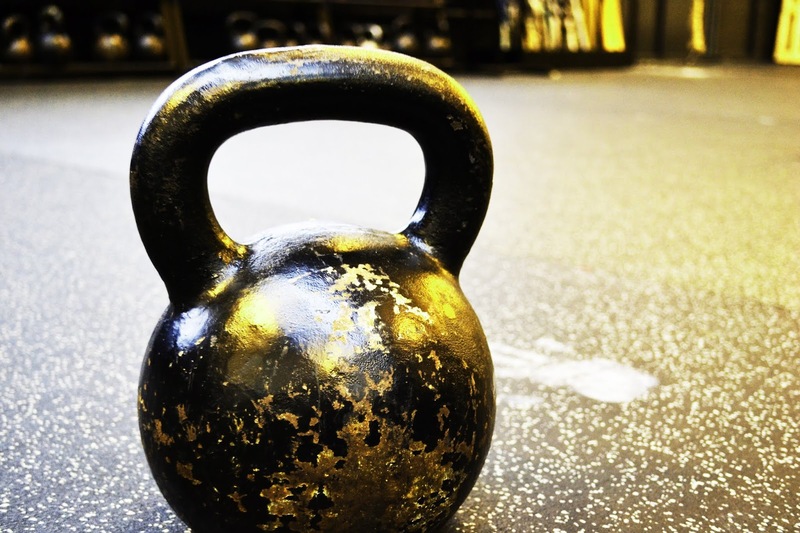 Kettlebells are a very popular workout tool and for a good reason. They combine strength, cardio and flexibility, offering a full-body conditioning in a short period of time. As opposed to regular weights, kettlebells focus on dynamic exercises performed with a wider range of motion. 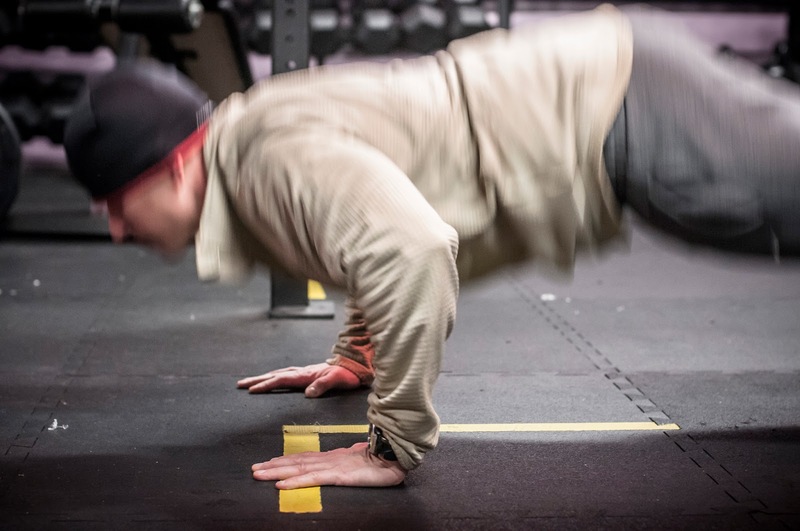 Start with one set of the following 5 bodyweight exercises to warm up your body and prevent injuries. Cool down with some stretches and don’t forget to hydrate your body and eat a healthy meal after your workout. Sprinterval helps you get started with High Intensity Interval Training (HIIT). Available for iOS and Android. Millions of people all over the world are turning to High-Intensity Interval Training (HIIT) to burn fat, build lean muscle, and improve their heart health. Thanks to the bump in post-exercise oxygen consumption you get as a result of a high-intensity workout, you’ll even burn calories after your workout is over. To maximize the benefits of HIIT, however, you have to push yourself out of your comfort zone during each workout. Just as its name implies, HIIT is meant to be intense. So how can you speed muscle recovery and increase your energy level to stay on track with your workouts? A supplement may be just the boost you need. Here are seven of the best supplements to power your HIIT workout. Our bodies need magnesium. It’s used in hundreds of chemical reactions that keep us running at peak performance. While it’s found naturally in foods like leafy greens, dark chocolate, and coffee, your body may not be absorbing enough through diet alone. A magnesium supplement will help with muscle recovery, glucose management, bone strength, and nervous system function. HIIT workouts demand a large amount of ATP, a molecule used for energy. Magnesium supports the production of ATP to prevent muscle soreness and fatigue. Just like magnesium, we source much of our caffeine consumption from food and drinks. It is a popular supplement for HIIT workout enthusiasts because of its ability to create mental alertness, increase endurance, and even maximize muscle strength during workouts. HIIT consists of short rounds of explosive activity. In between these rounds, your body seeks energy stores to fuel the next round and manage muscle fatigue. While you should consult your physician before adding any supplement to your diet, caffeine can give you a short-term energy lift to help push you to the end of your workout. If you’re not a coffee lover, try a caffeine anhydrous supplement 30 minutes before you begin your intervals. Citrulline is one of the many amino acids our body creates and synthesizes to create nitric oxide (NO). Nitric oxide has lots of great benefits for HIIT athletes, including increased blood flow to keep muscles performing at their best. As an added benefit, citrulline helps deflect the extra ammonia your body produces during intense workouts. One of the other key amino acids our body needs for optimal performance is L-carnitine. It not only boosts the production of ATP, but it also aids the body in storing muscle glycogen. The result is delayed fatigue, faster recovery times, and improved muscle strength. HIIT, because of its intensity, can lead to higher production of free radicals. L-carnitine slows their production, cutting down on muscle soreness and tissue damage in the process. We all know the benefits of eating plenty of leafy, green vegetables. They neutralize acidity during exercise by shutting down the buildup of excess hydrogen ions that lower pH levels and create muscle fatigue. While you can certainly add greens as part of your regular diet, a greens supplement will amplify the alkanizing benefit, helping you perform more sets with less fatigue and soreness. Betaine is a by-product of glycine, an essential amino acid. It has several powerful effects during a HIIT workout, including lowered lactic acid, better protein synthesis, and protection against muscle fatigue and exhaustion. As a bonus, if you struggle with GI upset during or after a HIIT workout (a result of high lactic acid levels), betaine can aid with digestion and lessen the strain on your GI tract. Creatine gets a lot of buzz in the sports world for its ability to increase strength and muscle growth. But does it have an impact on HIIT results? Absolutely. Creatine deflects pH during intense workouts, resulting in more energy during exercise and shorter recovery time between workouts. It’s vital to short-term energy supply has been shown to speed the growth of new muscle. If you’re looking for an extra edge for your HIIT workouts, supplements may be a simple, effective way to bump up your energy levels and aid recovery time. If you’re unsure which supplements are right for you, consult your physician or a nutritionist to create the right supplement plan for your fitness goals. Interested in getting into HIIT workouts, but not sure where to start? Sprinterval is an app for HIIT beginners, available on your Android or iOS device. High-intensity interval training is taking the world by storm, claiming the spot of number one fitness trend in 2018 according to the American College of Sports Medicine. Each year’s list of trends is determined after consulting with over 4,000 exercise and medical professionals around the world, so you can rest assured that this trend is legit! If you’re joining the huge number of exercise enthusiasts who love HIIT, check out the following tips to improve your next workout. 1. Never forget to warm up and cool down. You may love HIIT because it saves time, but don’t think that you can just skip out on a few minutes of warming up and cooling down. Warm up with stretches, some walking, a few bodyweight exercises, and other movements which will mimic the exercises you plan to use during your HIIT workout. This will steadily increase your heart rate and body temperature, priming your muscles to work and helping to prevent injury. Cooling down is just as critical. 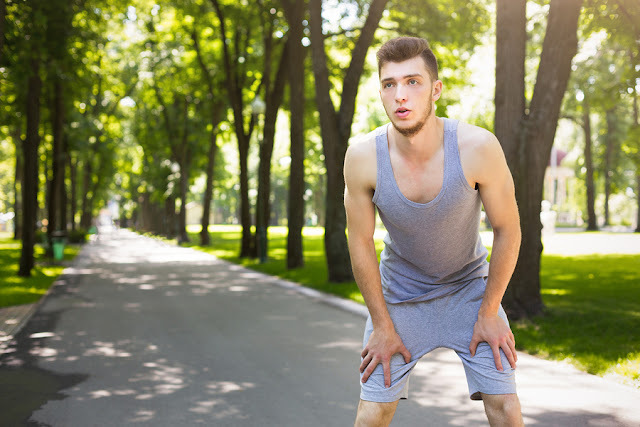 Walking or stretching at the end of an intense workout will prevent you from feeling faint or even passing out. 2. 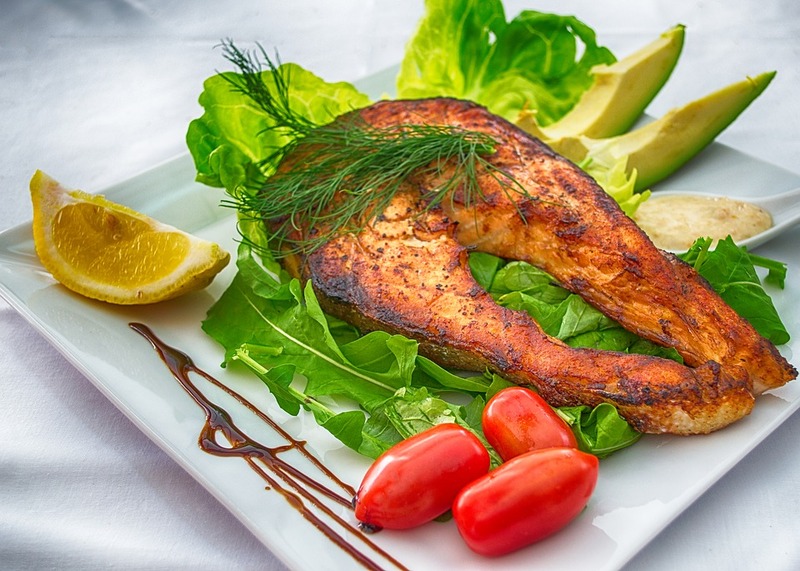 Consider your pre- and post-workout meals. No matter your current diet, you absolutely should not forego nutrition prior to and after any high-intensity interval training. Having a snack full of carbs, fiber, proteins, and fats a couple hours before your workout will provide your body with the fuel it needs to keep you going during the most difficult intervals. Half an hour after you’ve finished exercising, your body will be working hard to repair muscle. Help it out with more carbs and proteins! And, of course, always stay hydrated before, during, and after your workout. Because HIIT workouts involve a wide variety of movements—up, down, backward, forward, and side to side—a regular running shoe probably won’t offer you the kind of support you’ll need. In fact, the extra padding included in running shoes may actually hinder your ability to perform the movements necessary in a HIIT-style exercise routine. 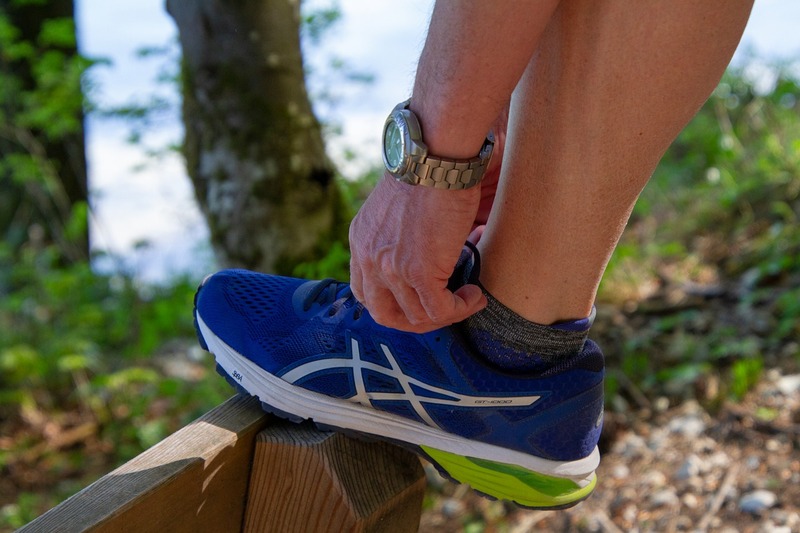 Instead of running shoes, keep your eye out for a pair of shoes designed to withstand the quick changes in motion that are frequent in HIIT workouts. Sometimes, you may find yourself in a workout groove. You’re pushing yourself hard, listening to your preferred gym playlist to hype you up, and feeling good—why stop when you’re in the zone? Because of HIIT’s high demand, a HIIT workout shouldn’t last more than 30 minutes. If you think you’re able to last longer, you’re probably not pushing yourself hard enough. If you’re just starting out with HIIT or if you’re new to regular exercise, don’t attempt more than one HIIT workout per week. HIIT is, just as the name suggests, extremely intense. Attempting multiple HIIT workouts in a short period won’t allow your body time to recover and puts you at a higher risk of injury. Instead, enjoy a different kind of workout on the other days of the week that you exercise. As your endurance increases, feel free to add one or two more HIIT workouts to your weekly routine and modify each workout itself to an appropriate intensity for your fitness level. How do you know whether or not your high-intensity interval training is actually, well, intense enough? The simplest way to tell whether or not you’re pushing yourself to the max is to attempt talking during your higher-intensity intervals. If you can manage more than a few words, push harder! If you exercise with a heart monitor, your target heart rate should be between 80% and 90% of your max. 7. Use larger muscle groups. The primary goal of HIIT is to use most of your body with little rest, pushing you into an anaerobic state. The best way to do this? You guessed it—full-body exercises. Challenging larger muscles groups like your legs ensures that you’ll see demonstrable increases in your heart rate—exactly what you want from your HIIT workout. Plus, exercises which target these larger muscle groups tend to be more intense. The best thing about HIIT is its flexibility, meaning that you can always improve your HIIT workouts to better cater to your current fitness needs. Utilizing these tips can be a process, but there’s no doubt that they’ll help you reach the next level! Sprinterval is a training app for iPhone and Android that gets you into Sprint Interval training. Check it out! These days, online fads have a new fitness routine to showcase just about every time you open an internet browser, muddling the waters of what works and what doesn’t. However, not all of these popular exercise trends are junk. HIIT, for example, is everywhere. In fact, the American Physical Therapy Association surveyed exercise professionals around the world and found that HIIT had risen to the number-one spot of 2018 fitness trends, rising from number three in 2017, and there’s certainly a reason for HIIT’s popularity! HIIT is short for “high-intensity interval training,” and the name itself does a lot to explain this fitness philosophy. Most exercise gurus will describe a high-intensity interval as around 30 seconds of pushing yourself to the max—at least 80%, but usually 90% or more. In other words, HIIT is all about pushing your body as hard as you can for short bursts of time. These high-intensity intervals alternate with periods of recovery, like miniature cooldown periods. It’s easily adaptable to any fitness level. By increasing the length of rest periods or adjusting the number of repetitions, HIIT workouts are highly customizable. It can work with a variety of exercises, as long as your entire body is involved. It’s quick! Many people believe that they don’t have enough time to exercise, contributing to the fact that nearly a third of people worldwide aren’t physically active enough each day. Because HIIT training focuses on short bursts of strenuous activity, it’s rare to see a HIIT workout last more than 30 minutes, and that includes warmup and cooldown! During the high-intensity bursts which define HIIT, you’re pushing your body into an anaerobic state. This means that you don’t have enough oxygen, so your body will utilize its energy reserves to keep you going. This increase in metabolism is maintained for hours after the workout is finished, continuing to burn calories even after you’ve showered and ditched the gym clothes. Called the excess post-exercise oxygen consumption (EPOC) effect, this phenomenon is part of the reason why HIIT training can help you to burn calories and metabolize fat even during workouts of a shorter duration. In fact, HIIT is the best-known way to stimulate this effect since EPOC is determined by the intensity of the exercise rather than the length of time spent exercising. If you’re more convinced by numbers, the EPOC effect achieved from a HIIT workout is capable of increasing the session’s energy cost by 6 to 15%. Also, consider the fact that your body burns about 5 calories for every liter of oxygen used. This means that exercises which increase oxygen demand (think HIIT) will be responsible for burning higher numbers of calories both during and after the workout. Plus, the metabolic stress placed on your body results in elevated muscle repair and energy production, meaning more muscle definition, less body fat, and less time spent at the gym. So, what’s the next step? You guessed it—trying HIIT training out for yourself. Luckily, it’s pretty easy to rearrange your workout routine to become more HIIT-friendly, and there’s no need to change up your favorite activities. Do you like to cycle? You still can! Many stationary bike workouts suggest something like this: a five-minute warmup, 30 minutes of steady cycling, and a five-minute cooldown. To turn your ordinary cycling routine into a HIIT cycling routine, try something like the following: warm up for five minutes, then power through 30 seconds of high-intensity effort (pedaling as quickly as you can on a high resistance setting) followed by one minute of low intensity. Rinse and repeat for as many reps as you’re comfortable with, then cool down. As you get those gains, you can begin to ramp up the length of your high-intensity intervals, increase resistance, or aim for more reps. As long as you’re pedaling as hard as you can for short bursts of time, you’ve got the right idea. Prefer to run? The same principles can be applied to running. Replace your steady, long-distance routine with intervals of short sprints. 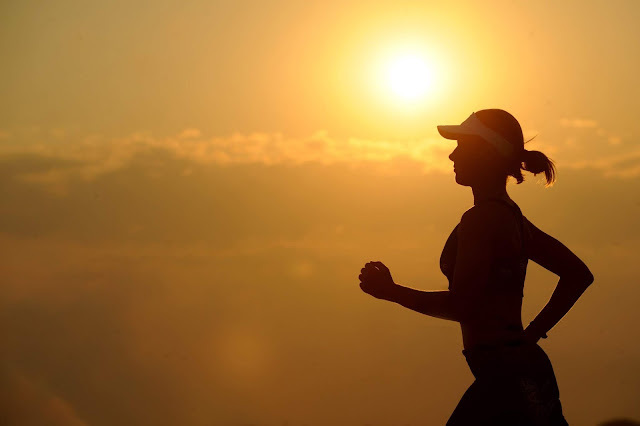 Go all out for 30 seconds, then walk briskly or jog during low-intensity intervals. No gym handy? No problem! Eric Salvador of The Fitting Room in New York City has developed a “Do-It-Anywhere” HIIT workout consisting of 50 sit-ups, 40 jump squats, 30 push-ups, 20 split jumps, 10 tricep dips, and 30 burpees. Just about any workout regimen can be transformed into a HIIT routine, so don’t be afraid to get creative and toss some variety into your normal schedule! As popular as HIIT is, it’s more than just a temporary fad—this super-effective theory of exercise is here to stay. HIIT (High-Intensity Interval Training) is, by far, one of the best ways to improve your fitness levels, build muscle mass, and burn through stubborn body fat. But what if there were ways you could even speed-up that process, making your HIIT workouts that much more efficient? Well, thankfully, there are. Here are ten 10 tips to make your HIIT workout even harder. Feel like you could work-up even more of a sweat? Well, consider layering up on insulated clothes or, if you can, increase the temperature of the studio you're in, should you really want to feel the sweat pouring down your face. Not only will this make you sweat more, but it’ll help you burn even more calories than usual. Not feeling too much of a burn? 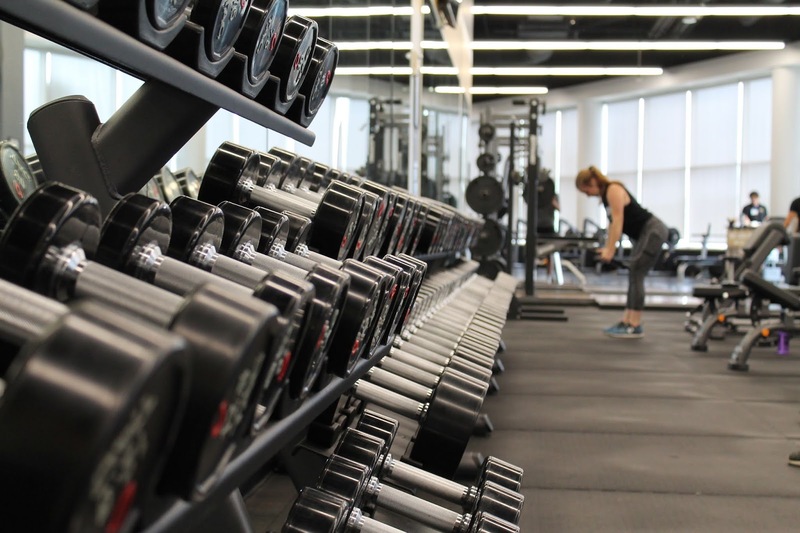 Time to step-up the weights—gradually, at least. Try doing your weighted reps by increasing those weights in one, two, or five-pound increments. One of the best ways to make your HIIT interval workouts harder is simple: make them longer. Try staying in each interval for 15 more seconds than you did before. If it’s a rep-counting exercise, try doing 10 percent more repetitions per set. Most of us haven’t picked up a jump rope since elementary school, but jumping rope is still one of the most hard-hitting, whole-body workouts you can do. Better yet, a little goes a long way. Start by doing 30-second sets, with 15-second breaks in between, till you find your stride. And if you want to, opt for one that has adjustable weights in the handles to get a better upper body workout. It’s imperative to thoroughly stretch both your upper and lower body before doing a HIIT workout. This helps you not only perform at your best during each interval but ensures your muscles can properly recover afterward. Generally speaking, you'll want to hold each stretch between 30 and 45 seconds to reap the benefits. If you're used to doing your sprinting intervals on level ground, mix things up a bit—and head for the hills. Trudging up a hill, be it by burpy-jumping or through fast-paced sprints, will definitely help take your HIIT workout to the next level. Can’t find a solid hill to utilize, but next to the ocean? Sand sprints, too, are a great way to boost the intensity levels of your dashes. Studies show that people have the most energy during the day between 6am and 5pm. Take advantage of that time window, giving you the boost you need to go even harder during your HIIT workout. Conversely, doing your workout too early or too late in the day can hamper your ability to go all-out. All of us, for the most part, don’t give a second thought to breathing. However, by practicing mindful breathing techniques, you can both improve and intensify your HIIT Workout. For active sets, try occasionally holding your breath for 5 seconds to help force your lung capacity to grow. Afterward, use your rests to do deep breathing exercises. How fast your heart beats during any workout is the best barometer to see how hard (or not) you’re taking it. 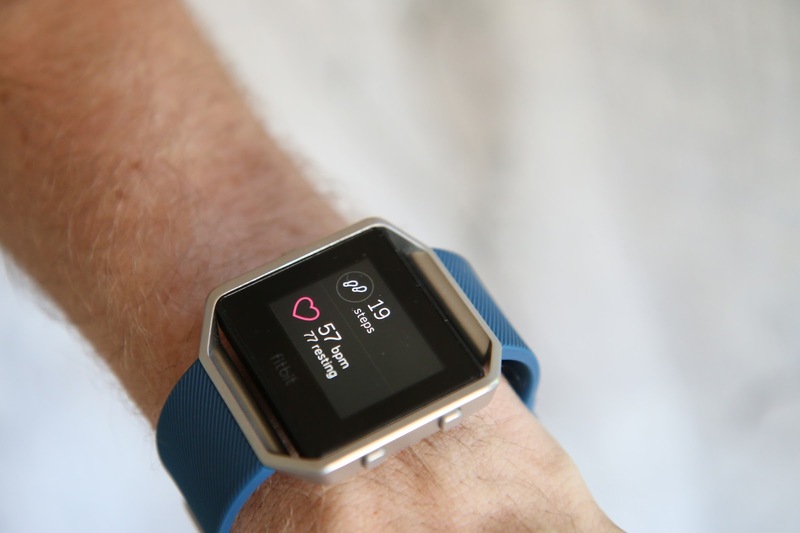 Now, thanks to wearable technologies, it’s easier than ever to see what your heart rate. Depending on the person, try to stay in the upper regions of your suggested heart rate figures, trying each time to also stay longer in them, as well. There’s a reason why people tend to perform better on race or game day than usual. Research shows that our minds actively amp-up our bodies when we’re consciously competing. 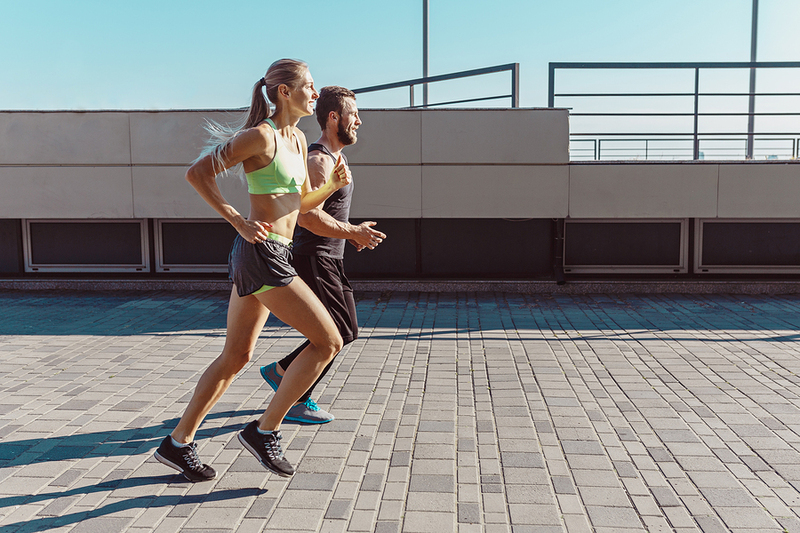 So next time you do your HIIT workout, try to see if you can partner with a friend for a little friendly competition. If you’re more of a solo HIIT-er yourself, join an online forum or community to match stats, numbers, and times. Follow these tips on how to increase the intensity of your next HIIT workout, and body-fat-percentages and pant-sizes will thank you for it. Need help getting started on a HIIT workout program? Sprinterval is an app that helps people get started with high-intensity interval training (HIIT) with sprints.